Scouters in Staten Island help out with the rescue efforts. Head ranger Gil Schweiger and others associated with the camp on Manor Road sprang into action on Oct. 29. 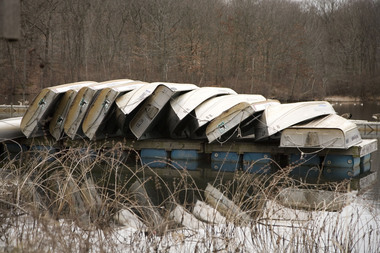 They attached several row boats present on the grounds to a trailer for the city Fire Department, just in case emergency responders needed help. The FDNY, which had some boats, was unable to connect with Schweiger’s team when the storm surge began to submerge a Zone A territory on the East Shore, said the head ranger. Schweiger said 125 people were saved the first night. They returned the following day to rescue a dozen more near Olympia Boulevard in Midland Beach.